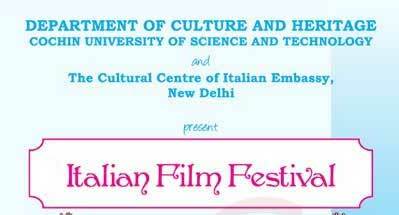 Department of culture and heritage cochin university of science and technology in association with the cultural center of Italian embassy is organizing an Italian Festival on 11 th and 12th February at Polymer Sciences Auditorium. There is no entry fee for the event. There will be three films screened for the event. There will be Italian refreshments in between screening. 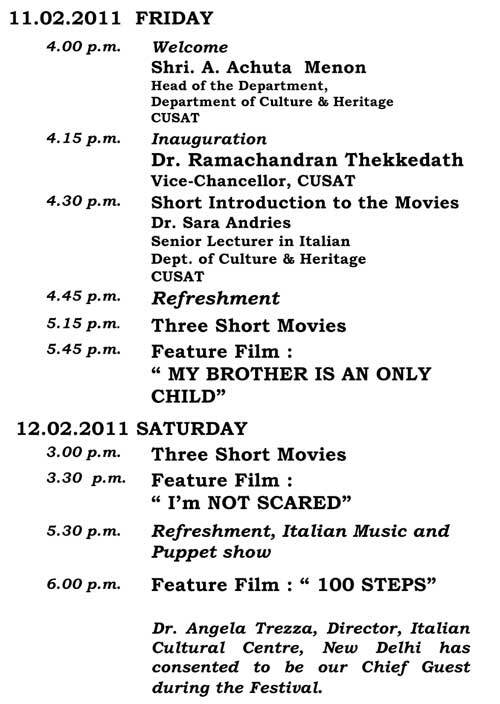 the complete schedule of the event is as shown below.